Home › Uncategorized › What Role Does The Insured’s Deductible Play In Subrogation? However, case law holds that a subrogating insurer does not have standing to include the deductible as part of the insurer’s claimed damages in suit. Pacific Gas & Electric Co. v Superior Court (2006) 144 Cal.App.4th 19, 26-27. 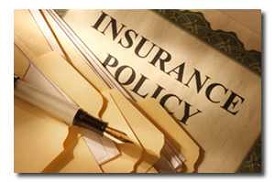 Therefore, an insurer must demand it pre-suit, but lacks standing to recover it post-suit. If a carrier encounters this problem in litigation, a simple solution may be to intervene the insured into the lawsuit to obtain standing. However, you must be mindful of whether the statute of limitations has passed. In many states, an insurance company’s intervention relates back to the date of the original filed complaint by the insured. In California, as long as the original action is timely filed, a complaint in intervention based on the right of subrogation is timely, even if filed after the expiration of the statute of limitations. County of San Diego v. Sanfax Corp. (1977) 19 Cal.3d 862, Harrison v. Englebrick (1967) 254 Cal.App.2d 871, 874-875. However, an insured’s intervention might not relate back to the date of the original filed complaint by the insurance carrier. If the statute of limitations poses an issue, and the insured’s deductible is significant, it may be wise to enter into a joint prosecution agreement with the insured at the commencement of litigation in order to ensure the deductible is recoverable in litigation. Again, each state has their own rules regarding the insured’s deductible, so be certain to consult with counsel to better understand the rules in the state where the loss occurred.